CONGRESS | 17TH DISTRICT | This is what the top two primaries produce in California electoral politics: The upstart Democrat offers fresh and buoyant rhetoric, but agrees with nearly everything the incumbent has to say. Meanwhile the Republican, with little to lose, issues pot shots at their ideological opposites, while agreeing often with the Democrats. 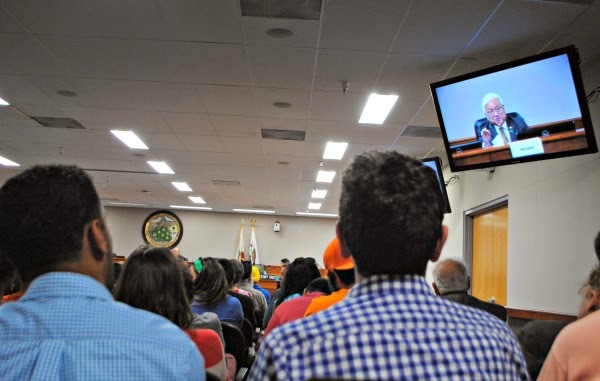 It’s a dynamic seen twice played out in the neighboring 15th Congressional District and it was no different at the first public forum between Rep. Mike Honda of the South Bay’s 17th District and fellow Democrat Ro Khanna Saturday night in Fremont. 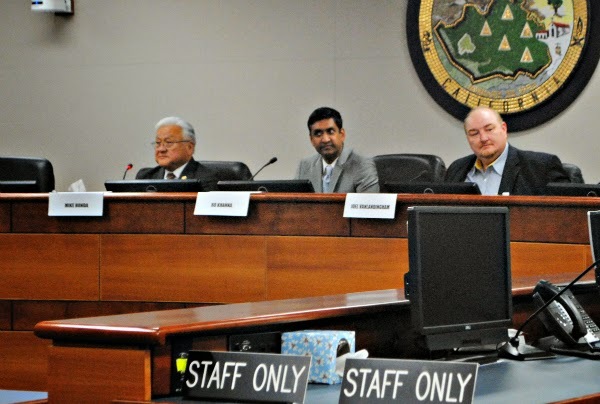 Honda and Khanna found common ground on many stalwart Democratic issues posed at the League of Women Voters forum that featured a packed Fremont City Council chambers. Both Democrats rang similar tones on a long list of issues such as, protecting the Voting Rights Act, stronger oversight of the National Security Agency, tamping down military spending overseas, limiting campaign finance, prohibiting fracking and strengthening gun control. 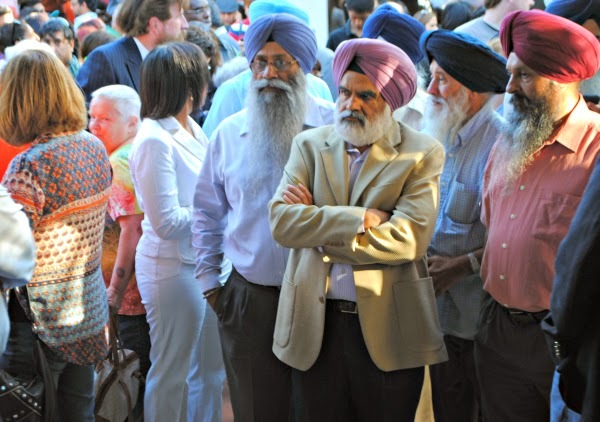 However, in some cases, such as the NSA spying program, Khanna attempted to charge Honda and Congress with not doing enough to protect citizens. It was the subject of housing and job creation, though, that became of point of contention. The issue pushed both Khanna and Honda to use their one allotted opportunity for rebuttal over an assertion made by Honda that a federal grant to extend BART to San Jose will create 10,000 permanent jobs. “People who make Silicon Valley work need to be able to afford to live here,” said Honda. Honda from the back of the room. 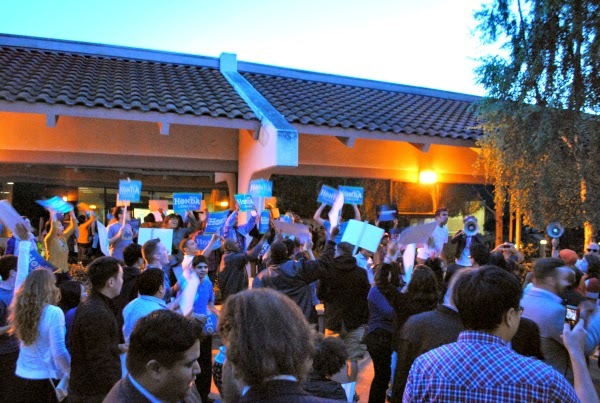 The urging by Khanna’s campaign and the local media for Honda to participate in a debate has been one of the race’s few points of contention. Following the forum Saturday, as Honda was whisked away, he told reporters he would debate whoever finishes in the top two this June. Posted in candidate forum, Fremont, jobs, Mike Honda, Ro Khanna, Silicon Valley, top t. Bookmark the permalink. Steve nice coverage of the Honda/Khanna showdown.